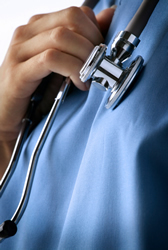 Our physicians are trained at the nation's leading tertiary academic standards. Many of whom serve on physician leadership committees, hospital advisory boards, medical staff executive committees, and have given lectures to multiple community organizations. Dr.Jonathan W. Agins completed his training in Urology at SUNY Brooklyn and at Memorial Sloan-Kettering Cancer Center, receiving an education by the world's foremost scholars in all aspects of Urology. Born in Brooklyn and a lifelong New Yorker, Dr. Agins moved to Arizona in 2006. He has become a respected leader in the community, serving as the Chairman of the Arrowhead Hospital Physician Leadership Committee, the Vice Chairman of Surgery at Arrowhead, a member of the Credentials Committee of Arrowhead, and a Consultant for the Arizona Medical Board. In addition, Dr. Agins' expertise in Overactive Bladder and Incontinence has been nationally recognized. He is a much sought-after trainer for Medtronic's Interstim device, the only such trainer in Arizona, and performs the most of these procedures in the state. Dr. Agins is proud to be part of the future of Urology in Arizona and lives in the valley with his wife, two children, and his dog. Dr. Agins is Board Certified by The American Board of Urology. A review of urologic cancer patients with multiple primary malignancies. Mydlo JH, Agins JA, Donohoe J, Grob BM. World J Urol. 2001 Aug;19(4):240-3. Review. Dr. Shawn Blick, M.D. is the founder and president of our expanding urology group, Valley Urologic Associates. He has practiced in Phoenix, Arizona for over 10 years. He completed his medical school training at Mount Sinai Medical School with honors, and he performed his residency at Beth Israel Medical Center in New York City. In addition, his residency required him to complete 6 months of oncology (cancer) training at Memorial Sloan Kettering Cancer Center in New York City. As a urologist in private practice, Dr. Blick has continued to advance his knowledge and skills. He has attended multiple courses on advanced techniques for penile prosthesis insertion for erectile dysfunction, pelvic floor reconstruction for pelvic prolapse and stress urinary incontinence, laser surgery for BPH, cyroablation and robotic assisted laparoscopic prostatectomies for prostate cancer, and hand-assisted laparoscopic nephrectomies for kidney cancer. In the community, Dr. Blick has proven himself to be an excellent educator. He is an Adjunctive Faculty Member at Midwestern University (Osteopathic College of Medicine) and has been given an award for his teaching skills. He has delivered multiple lectures to patients and physicians on the topics of erectile dysfunction, overactive bladders, stress urinary incontinence, benign prostatic hyperplasia, and prostate cancer. He has hosted his own radio talk show ("Topics in Urolog"), and he was featured on Fox 10 News for his work with "Penile Prosthesis Insertion" and "Pubovaginal Slings for Stress Urinary Incontinence".He is Board Certified in the practice of Urology. Dr. Lynn W. Blunt, Jr. completed his residency in Urology at The McGraw Medical Center of Northwestern University in 2003. Prior to joining Valley Urologic Associates, Dr. Blunt served as The Chairman for the Division of Urology at Mount Sinai Hospital in Chicago. During his term as Chairman, Dr. Blunt was responsible for educating residents and medical students at the The University of Chicago Urology Residency Program and The Chicago Medical School, respectively. 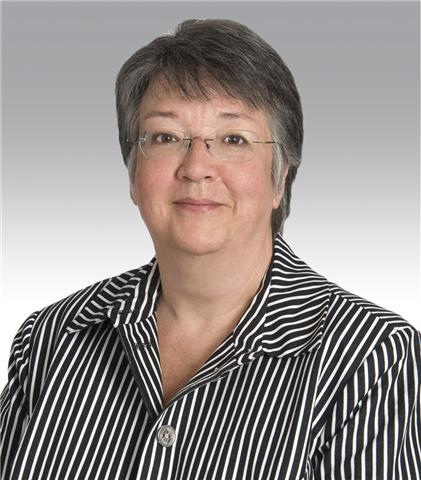 Furthermore, Dr. Blunt also served as the institution's Physician Liaison to The Commission on Cancer for The American College of Surgeons, making Dr. Blunt a leading authority in Urologic Oncology. Dr. Blunt is experienced in all areas of general urology; however, Dr. Blunt is an expert in the evaluation and management of traumatic urologic injuries as well as reconstructive urology. Dr. Blunt's former experience was at a Busy Level-One Trauma Center, providing Dr. Blunt with a unique and special skill set for the Phoenix Market. Overall, Dr. Blunt believes strongly in utilizing the latest techniques and technologies in treating urologic diseases to maximize patient comfort and outcomes. Dr. Blunt is Board Certified by The American Board of Urology. Tumor necrosis factor promotes differential trafficking of bladder mast cells in neurogenic cystitis. Chen MC, Blunt LW, Pins MR, Klumpp DJ. User HM, Hua V, Blunt LW, Wambi C, Gonzalez CM, Nadler RB. Preoperative PSA level significantly associated with interval to biochemical progression after radical retropubic prostatectomy. Gonzalez CM, Roehl KA, Antenor JV, Blunt LW, Han M, Catalona WJ. Repair of superior mesenteric artery ligation during left nephrectomy with a native renal vein patch. Blunt LW Jr, Matsumura J, Carter MF, Gonzalez CM, Smith ND . Nadler RB, Blunt LW Jr, User HM, Vallancien G.
Safety and efficacy of percutaneous nephrolithotomy in patients with neurogenic bladder dysfunction. Rubenstein JN, Gonzalez CM, Blunt LW, Clemens JQ, Nadler RB. Large urethral diverticulum presenting as a scrotal mass: urethral reconstruction with ventral onlay buccal mucosa. Jang TL, Blunt LW, Yap RL, Brannigan RE, Gonzalez CM. Safety and efficacy of 12-mm radial dilating ports for laparoscopic access. Rubenstein JN, Blunt LW Jr, Lin WW, User HM, Nadler RB, Gonzalez CM. Prone positioning for bulbar urethral reconstruction. Blunt LW Jr, Rubenstein JN, Matschke M, Gonzalez CM. Dr. Vincent A. Chehval was born and raised in St. Louis, MO. He completed his undergraduate training in 2003 at The University of Dayton in Ohio earning a Bachelors Degree in science with a minor in psychology. He then went on to complete a Masters Degree with thesis in physiology at Loyola University Chicago in 2005. Subsequently, he attended the Chicago College of Osteopathic Medicine where he was awarded Honors for the top performance in the behavioral sciences department and for the most outstanding ability in the department of surgery. He graduated medical school in 2010 and went on to St. Louis University for the early years of residency before completing his training in urology at the University of Iowa in 2017. He is well-trained in general urology with a particular interest in endoscopic surgery, minimally invasive surgery (robotics/laparoscopy), stone disease, management of BPH, and infertility. Cell cycle progression score predicts metastatic progression of clear cell renal cell carcinoma after resection. Askeland, E. J.,Chehval, V. A.,Askeland, R. W.,Fosso, P. G.,Sangale, Z.,Xu, N.,Rajamani, S.,Stone, S.,Brown, J. A.; Cancer Biomark. 2015 Sep 26. Effects of obesity on immune responses to renal tumors. Chehval, V.,Norian, L. A.; Immunol. Res.. 2014 May 20. Anti-interleukin-10R1 monoclonal antibody in combination with BCG is protective against bladder cancer metastasis in a murine orthotopic tumor model and demonstrates s... Newton, M. R.,Askeland, E. J.,Andresen, E. D.,Chehval, V. A.,Wang, X.,Askeland, R. W.,O'Donnell, M. A.,Luo, Y.; Clin. Exp. Immunol.. 2014 Mar 07. Timothy Coyne received his Bachelor of Science and Certificate of Completion Physician Assistants Program from Drexel University in Philadelphia, Pennsylvania. Prior to joining Valley Urologic Associates, Timothy served as a Volunteer at the Children's Hospital of Philadelphia, and completed his Clinical Rotations in Surgery at Mercy Hospital and MCP Hospital in Philadelphia, OB/GYN at Episcopal Hospital in Philadelphia, Psychiatry at Belmont Center For Comprehensive Treatment in Philadelphia, Nephrology at Regional Nephrology Associates in Atlantic City, Emergency Medicine at Lower Bucks Hospital in Bristol, Pennsylvania, and Pediatrics at Memphis Street Pediatrics in Philadelphia. Timothy completed Preceptorships at Evergreen Medical in Deptford, New Jersey and with Alakananda Chakrabarty, M.D. in Shamokin, Pennsylvania. Beth Dean received a Master Of Medical Science in Physician Assistant Studies from Midwestern University in Glendale AZ. She received a Bachelor of Science in Biology and a Bachelor of Arts in Chemistry from Metropolitan State College of Denver in Denver CO. As part of her Master's curriculum she completed clinical rotations in OB/GYN, Cardiovascular Medicine, Cardio/Thoracic Surgery, Family Medicine, Emergency Medicine, Pediatrics, and Pediatric Orthopedics. Prior to joining Valley Urologic Associates, Ms. Dean practiced in Primary Care. She is a member of the American Academy of Physician Assistants. 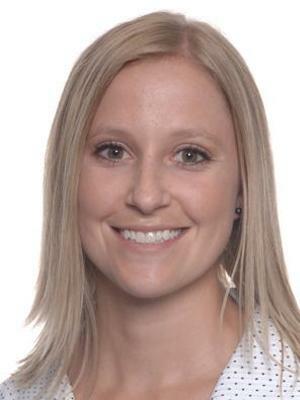 Dr. Lindsay M. Derus attended Purdue University, earning her undergraduate degrees in both Biology and Psychology. She then went on to complete one year of clinical research at The University of Chicago. Subsequently, Dr. Derus received her Medical Degree from the Arizona College of Osteopathic Medicine. Following her General Surgery Internship, Dr. Derus also completed her Urology Residency at the University of Cincinnati. Much of her training was at the University Hospital, a designated Level I Trauma Center and also nationally ranked Adult Urology Hospital by US News & World Report. While in residency, Dr. Derus received one of University of Cincinnati?s most prestigious resident awards, The Graduate Medical Trainee Award of Excellence, demonstrating exemplary professionalism, leadership and patient care. 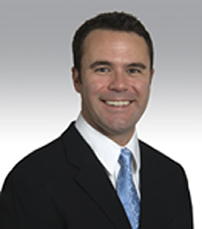 Dr. Derus specializes in minimally invasive urology including robotic surgery and endourology. She is also well trained in general urology with a particular interest in the clinical management and surgical treatment of stone disease, voiding dysfunction, and urologic oncology. Dr. Donovan is a native to Phoenix and received his undergraduate degree from Arizona State University in 1997 and went on to receive his Medical Degree from the University of Arizona College of Medicine. He then continued his training in General Surgery followed by completing a Residency in Urology at the University of Oklahoma Health Science Center. Dr Donovan subsequently furthered his training by completing a Fellowship in Pediatric Urology at the Children's Hospital of Oklahoma. under the supervision of the world renown Pediatric Urologist Bradley P. Kropp MD, FACS. Dr. Donovan has several publications, national presentations, and research to his name. He is professional affiliated with the American Urologic Association, Endourologic Association, American Academy of Pediatrics and American Medical Association. He is married with three children. Dr Donovan is highly trained and an expert in all areas of adult and Pediatric Urology. His Pediatric Urology expertise includes complex urethral reconstruction, Laparoscopic and minimally invasive surgery includiing Laporascopic Pyeloplasty, ureteral reimplant and orchidopexy, as well as bladder reconstruction and urinary diversion. Dr. Donovan is Board Certified in Adult Urology by The American Board of Urology. He is also Board Certified with the Pediatric Urology Suspecialty Certification by the American Board of Urology. Body mass index as a predictive value for complications associated with reconstructive surgery in patients with myelodysplasia. Donovan BO, Boci M, Kropp BP, Bright BC, Roth CC, Confer SD, Frimberger D.
Endoscopic injection of submucosal bulking agents for the management of incontinent catheterizable channels. Roth CC, Donovan BO, Tonkin JB, Klein JC, Frimberger D, Kropp BP. Roth CC, Donovan BO, Adams JM, Kibar Y, Frimberger D, Kropp BP. Occurrence of urinary tract infection in children with significant upper urinary tract obstruction. Roth CC, Hubanks JM, Bright BC, Heinlen JE, Donovan BO, Kropp BP, Frimberger D.
Urology. 2009 Jan;73(1):74-8. Epub 2008 Jul 10. Dr. Vi Hua, M.D. grew up in Dallas, Texas and completed his undergraduate education at The University of Texas at Austin. He then returned to his home town to attend The University of Texas, Southwestern Medical School to complete his Doctorate of Medicine. He completed general surgical residency followed by a residency in Urology at The McGaw Medical Center of Northwestern University, one of the nation's leading tertiary academic centers. While Dr. Hua is an expert in all areas of urology, his interests include laparoscopy and minimally invasive urology. In his training, he has acquired the distinguishing skills for performing nephron-sparing laparoscopic partial nephrectomies, laparoscopic renal cryoablation, and laparoscopic DaVinci robotic radical prostatectomies. He will be a pioneer amongst his peers, offering the latest cutting-edge clinical practices and surgical techniques to the West Valley Community. He is Board Certified in the practice of Urology. Prolongation of off-cycle interval by finasteride is not associated with survival improvement in intermittent androgen deprivation therapy in LNCaP tumor model. Wang Y, Gupta S, Hua V, Ramos-Garcia R, Shevrin D, Jovanovic BD, Nelson JB, Wang Z. Role of bacteria in chronic prostatitis/chronic pelvic pain syndrome. Hua VN, Williams DH, Schaeffer AJ. Synovial sarcoma of the prostate. Williams DH, Hua VN, Chowdhry AA, Laskin WB, Kalapurakal JA, Dumanian GA, Dalton DP. A noninfectious source of renal gas: embolization. Eggener SE, Hua V, Schaeffer AJ, Smith ND. Introduction of a genitourinary trauma database for use as a multi-institutional urologic trauma registry. Traub KB, Hua V, Broman S, Stage KH. Lipika McCauley, M.D. is a board certified urologist who specializes in the cutting edge technologies for the treatment of a variety of female urologic disorders including urinary incontinence, overactive bladder and complex pelvic floor reconstruction utilizing minimally invasive robotic surgery. Female urology also encompasses vaginal health and she is passionate about restoring and maintaining vaginal health in order to prevent conditions such as recurrent urinary tract infections and urinary incontinence while maintaining vaginal intimacy. Originally from Denver, Colorado, she completed her undergraduate degree in Molecular, Cellular, and Developmental biology at the University of Colorado, Boulder. Dr. McCauley went on to graduate with a Doctorate of Medicine with honors from Eastern Virginia Medical School as a member of the Alpha Omega Alpha Honor Medical Society. She then completed her residency at the University of Arizona, Tucson. Dr. McCauley has had extensive training in all areas of urology and welcomes patients with all urologic conditions. Dr. McCauley lives in the Valley with her husband, two sons and family dog. L. McCauley, A. Dyer, K. Stern, T. Hicks, M.Nguyen. J. Urology. 2012 April; 187 (4): 1282-86. Gender and renal cancer: do variations in clinical presentation and imaging patterns explain observed differences between male and females? L. McCauley, C. Beckham, T. Hunter, M. Nguyen. Urology. 2010 Sept; 76(3): 536-40. Laparoscopic radical adrenalectomy for cancer: long term outcomes. Current Opinion in Urology. Volume 18 (2), pp.134-8. 2008. Cloning genomic INGAP: a reg-related family member with distinct transcriptional regulation sites. D. Taylor-Fishwick, S. Rittman, H. Kendall, L. Roy, W. Shi, Y. Cao, G. Pittenger, A. Vinik. Biochimica et Biophysica Acta. Volume 1638, pp. 83-89. 2003. L. McCauley, K. Reinschmidt, K. Stern, M. Nguyen. Factors influencing fluid intake behavior among kidney stone patients. Arizona Urological Society. Tucson, AZ 2010. Western Section American Urological Association. Hawaii, HI 2010. L. McCauley, C. Beckham, T. Hunter, M. Nguyen. Gender and renal cancer: do variations in clinical presentation and imaging patterns explain observed differences between male and females? Western Section American Urological Association. Las Vegas, NV 2009. 57th Annual James C. Kimbrough Urological Seminar. San Antonio, TX 2010. L. McCauley, M. Gretzer. A large inguinal/scrotal bladder hernia causing acute renal failure in a renal transplant patient. Western Section American Urological Association. Monterey, CA 2008. D. Taylor-Fishwick, H. Kendall, M. Ray, L. Roy, Y. Cao, G. Pittenger, L. Rosenberg, A. Vinik. Induction of INGAP expression through an activator of protein kinase C and cytokine-induced STAT-signaling. Diabetes. Volume 51, suppl. 2, #1527-P, pp A372. Annual American Diabetes Association Scientific Sessions. San Francisco, CA 2002. Re: The effect of dopamine on renal function in solitary partial nephrectomy surgery. Enhanced T-lineage acute lymphoblastic leukaemia cell survival on bone marrow stroma requires involvement of LFA-1 and ICAM-1. Winter SS, Sweatman JJ, Lawrence MB, Rhoades TH, Hart AL, Larson RS. Br J Haematol. 2001 Dec;115(4):862-71. Dr. Rahul K. Thaly completed his 6 year residency training at the University of Illinois at Chicago. Dr. Thaly went on to further his training in Robotics/Laparoscopy and Minimally Invasive Surgery at The Ohio State University under the guidance of Dr. Vipul Patel--the foremost leader in Robotic and Minimally Invasive Surgery. He has been involved in more than 400 robotic and laparoscopic surgeries, and his experience in robotic surgery makes him one of the foremost top urologists graduating in 2007. Dr. Thaly's clinical interests involve urologic cancer and laparoscopy, specializing in the care of patients with prostate and kidney cancer. In addition to robotic surgery for prostate cancer, he also specializes in the treatment of kidney cancer with minimally invasive, kidney-sparing alternatives such as laparoscopic partial nephrectomy and radiofrequency ablation. With his advanced skills, he has worked as an Instructor for courses on Advanced Robotic laparoscopic techniques throughout the country. Dr. Thaly is a member of several professional societies including American Urological Association and the Robotic Surgery Working Group. He has published numerous papers in the Journal of Urology, British Journal of Urology, the Journal of Robotic Surgery, Contemporary Urology and Issues in Urology. He is Board Certified in the practice of Urology. Robot assisted laparoscopic pyeloplasty: a review of the current status. Shah KK, Louie M, Thaly RK, Patel VR. Rapid communication: bipolar PlasmaKinetic transurethral resection of the prostate: reliable training vehicle for today's urology residents. Gilleran JP, Thaly RK, Chernoff AM.